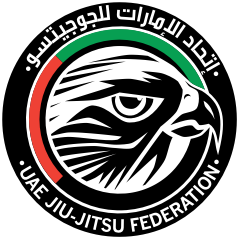 Phoenix International Pro is part of the UAEJJF World Ranking and Abu Dhabi World Professional Jiu-Jitsu Qualifiying Series. ** ALL DIVISIONS WILL HAPPEN ON SAT OCT 14TH. ON SUNDAY, OCT 15TH, UAEJJF WILL BE HOSTING THE PHX PRO SUPER FIGHTS. 13 exciting matches between some of the most skilled Jiu-Jitsu competitors in AZ. The PHX PRO SUPER FIGHTS is scheduled to start at 1pm. Official Weigh-In will be a 12pm. Phoenix International Pro Jiu-Jitsu Championship: OPEN TO ALL NATIONALITIES, ALL BELTS, KIDS, JUVENILES, ADULTS & MASTERS. Early registration. Until September 10th. Competitors who fail to appear to one of the weigh ins will be automatically disqualified. ALL registered competitors are required to weigh-in. No exceptions will be made.